Invisalign® is it Right for You? Invisalign® is a system that is designed to give you a straight smile in less time. With clear braces, you can straighten your crooked, tipped, or rotated teeth in as little as six months. On average, most patients will have a straight smile in 9 to 18 months. Invisalign® is a series of aligners that are manufactured using a patented dental plastic. Pliable, comfortable and safe, clear braces eliminate the problems that are associated with conventional wires and brackets. 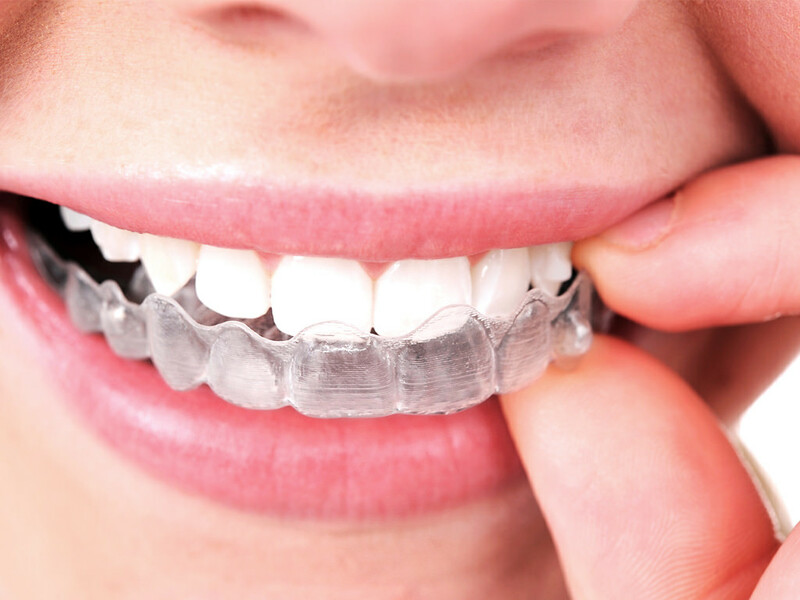 Patients who are a good match for clear braces will receive between 11 and 31 pairs of clear plastic aligners. How Do I Use Invisalign®? During your first appointment with Nuvo Dental of Irvine, digital pictures, x-rays, and impressions are taken which are sent to the Invisalign® lab for manufacture. When your new aligners are ready, you will receive your sets and instructions as per use. You will need to remove your aligners when you have a meal and when you brush and floss your teeth. Your aligners will stay put for 20 to 22 hours every day. Unlike conventional braces, there is no need to schedule twice-monthly dental appointments with Nuvo Dental in Irvine because you will only need to see your dentist every 6 weeks. This assures your Invisalign® plan is working and going according to plan. Is Everyone a Good Candidate for Invisalign®? According to Nuvo Dental, while most patients with minimal orthodontic issues are good candidates for Invisalign®, those who have extreme bites and big spaces between teeth may find conventional braces more suitable. Clear braces are best suited to patients who have slightly rotated, tipped, or crooked teeth. A straighter smile boosts confidence and self-esteem. Schedule a no obligation consultation with your cosmetic dentist in Irvine. Clear braces could be the answer to a beautiful new you. Call for an Invisalign® appointment with Nuvo Dental in Irvine today.